Make determine the cost of hail repairs as easy as 1,2,3! 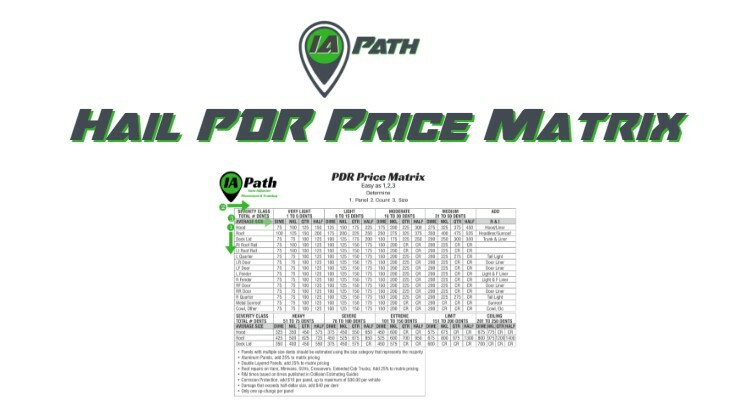 With IA Path's Hail Matrix it's easy to learn how to use a pdr price matrix. Great reference when writing auto hail claims.